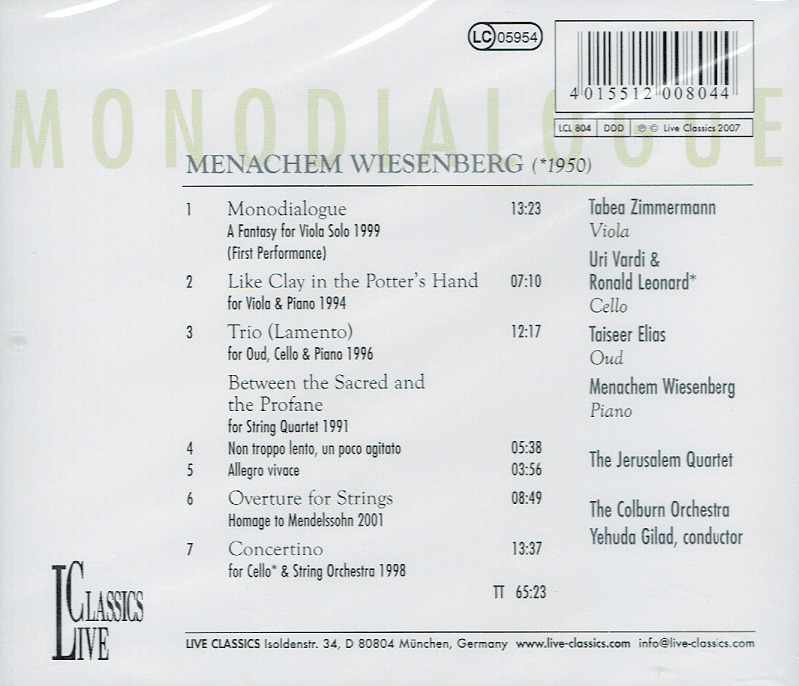 “Menachem Wiesenberg, composer, arranger, pianist and educator is one of Israel's most varied and acclaimed musicians. 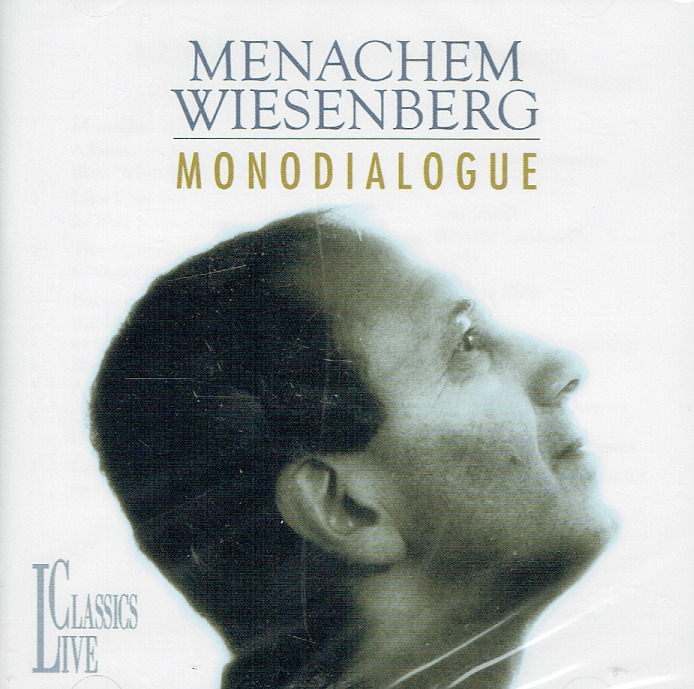 Mr. Wiesenberg is winner of the 2010 life time achievment Award in Composition granted by the Society of Authors, Composers and Music Publishers in Israel (ACUM Ltd.). He is the winner of the 2008 Landau prize for the Performing Arts in the Classical Composition category and the 1998 Prime Minister prize for composition. He was awarded the 1992 prize for outstanding achievement in the concert music field by the Society of Authors, Composers and Music Publishers in Israel (ACUM Ltd.). He was granted fellowships as composer in residence by the Rockefeller Foundation, the Bogliasco Foundation and the Virginia Center for Creative Arts. 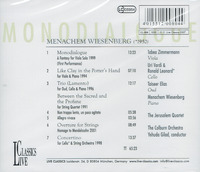 His music was performed by ensembles such as the the Berlin Philharmonic Strings Octet, the Jerusalem Quartet, the Huberman Quartet, the Aviv Quartet, the Lumina Quartet, the Relache Ensemble, the Musica Nova Ensemble, the 21st Music Ensemble and by soloists such as the German Violist Tabea Zimmerman, the American cellist Ron Leonard, The Principal Clarinet Player of the Berlin Philharmonic Orchestra Karl Heinz Steffens, the Israeli Violinist Hagai Shaham, the Cellists Hillel Zori and Zvi Plesser and the singer Mira Zakai. Mr. Wiesenberg has garnered renown for his arrangements of Israeli and Yiddish folk songs, and his interest in the folk music of his native land serves as a fundamental influence throughout all of his compositional activity.